In recent years, research into human use of number in language has broadened considerably to include experimental techniques from psycholinguistics and neurolinguistics as well as theoretical techniques from semantics and syntax. 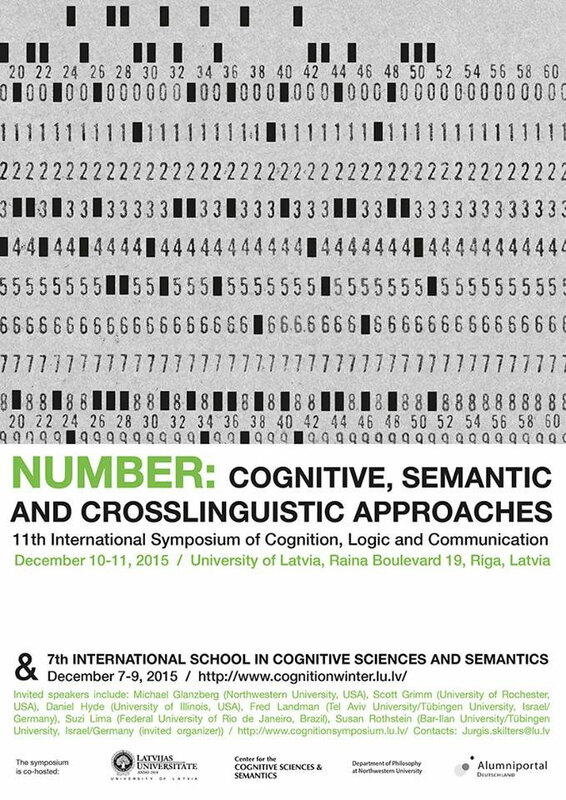 This conference aims to bring together researchers from these fields for a discussion of results related to any aspect of number and numerosity in language and cognition, including but not restricted to numericals, counting, measuring, approximation, plurality, crosslinguistic variation, acquisition of numerosity. 2-page anonymous abstracts (12 point, 1" margins) for a talk of 30 minutes (+10 minutes discussion) should be submitted by August 31 via this webpage. A maximum submission of one single-authored and one-joint authored paper is allowed.